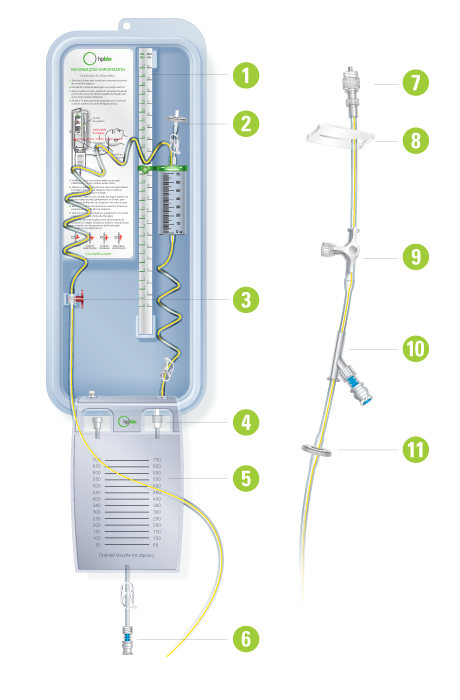 External Ventricular Drainage system indicated to reduce and temporarity control the (ICP) pressure, by cerebrospinal fluid drainage. The system gathers all the components required for a secure and efficient drainage. 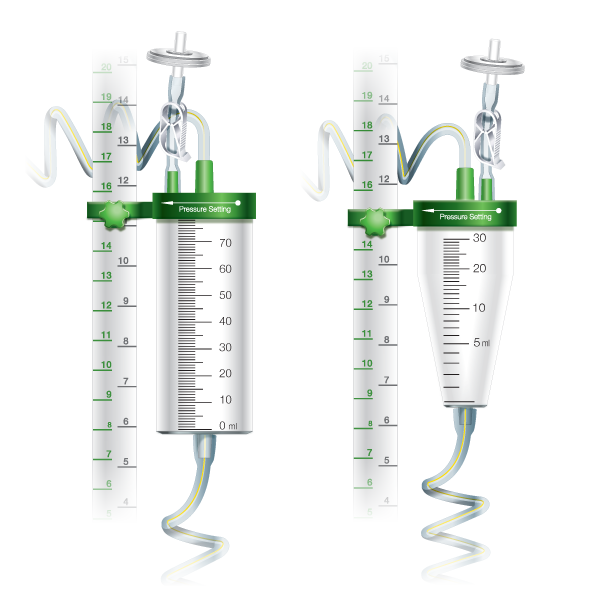 The mobile burette allows better precision in pressure control and measurement of drained volume. 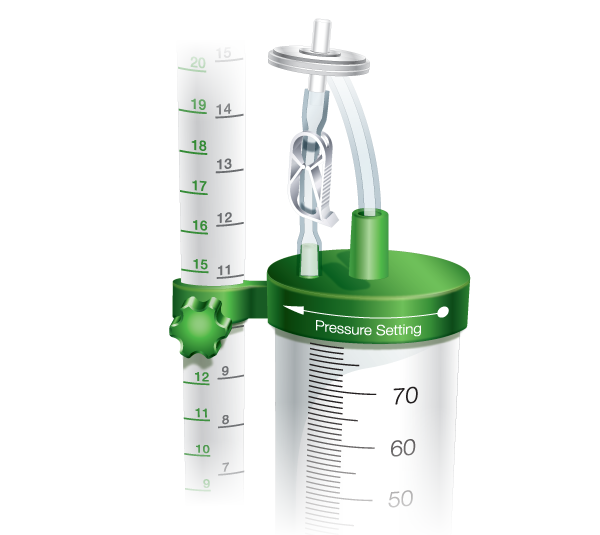 Pressure scale in mm Hg and H2O cm, mobile graded burette for easy and safe adjustment of the ICP. Hydrophobic antimicrobial resistant to wetting, preventing drainage interruption due to filter blockage. Accompanies clamp to be closed when it the needs to be temporarily place horizontally. Adult size with 75ml or 100ml and neonatal with 30ml capacity. A Clamp to avoid wetting the filter, when the system is place horizontally. Made of transparent silicone with radiopaque fillet, marked each 01cm and with oblong orifices preventing obstruction.